Neville McArthur was born at Tutana, a rockhole in the Spinifex Country South of Warburton. He has lived most of his life in Patjarr and Warburton but now resides in Wanarn. Neville paints tjukurrpa from his homeland in Spinifex Country such as Wilpina (Lake Baker, South-West of Warburton) and Malu Tjukurrpa. He couldn't tell any details about Wilpina - it's a strong and sacred Tjukurrpa. 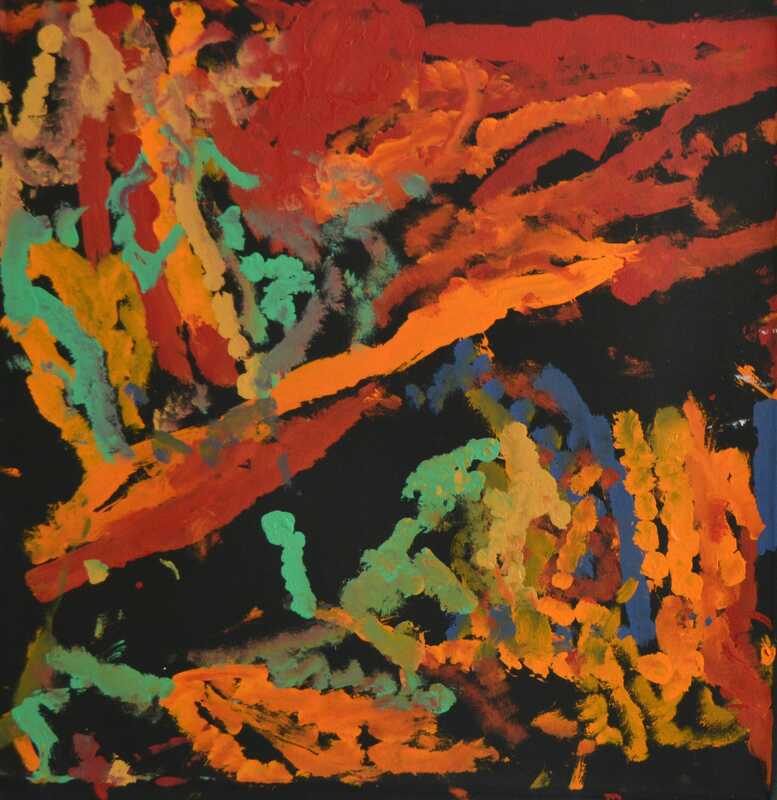 Neville has had a long career as an artist working with the Spinifex Arts Project, Warburton Art Project, Kayili Artists and since moving to Wanarn in 2010, working with Warakurna Artists. He is also recognised for his skillfull carving of traditional mens' weaponry.